Barbie is doing a code review on Steven's program. The program is well coded but Barbie notices it can be more efficient. 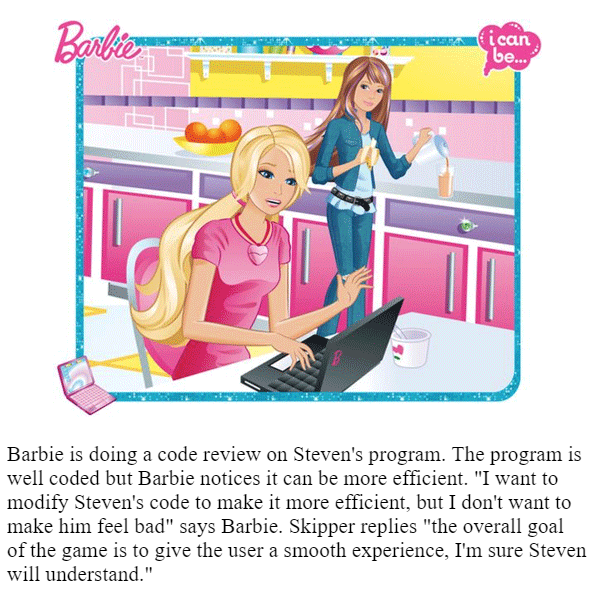 "I want to modify Steven's code to make it more efficient, but I don't want to make him feel bad" says Barbie. Skipper replies "the overall goal of the game is to give the user a smooth experience, I'm sure Steven will understand."